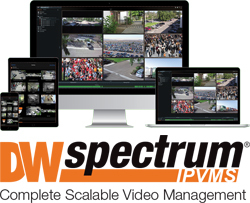 Home Blog DW® Solutions: All-in-One HD Camera, VMS and Storage. Simple. As a business owner, you have many other important things to focus on rather than worrying about your surveillance. 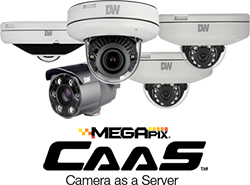 A DW® MEGApix® CaaS™ Edge Camera is an easy and cost-effective way to deploy high-definition IP video with a full-featured VMS software with no recurring fees or high network bandwidth dependencies. No software to buy and install, no license keys and no OS to maintain. Access and control from your phone or tablet: Our iPhone® and Android® app allows you to check in on your business from across town or across the country. Plug & Play Setup: Connecting to your DW® CaaS™ camera is easy with DW Cloud™, with no port-forwarding or other complex network configuration. And there is no additional or recurring charge for DW Cloud™! Would you like to see an all-in-one solution at your location?